Join us for this fun class! This bag is easy to make and holds a lot of goodies! The frame on this bag creates an opening that stays open no matter what, making it both handy and professional looking. 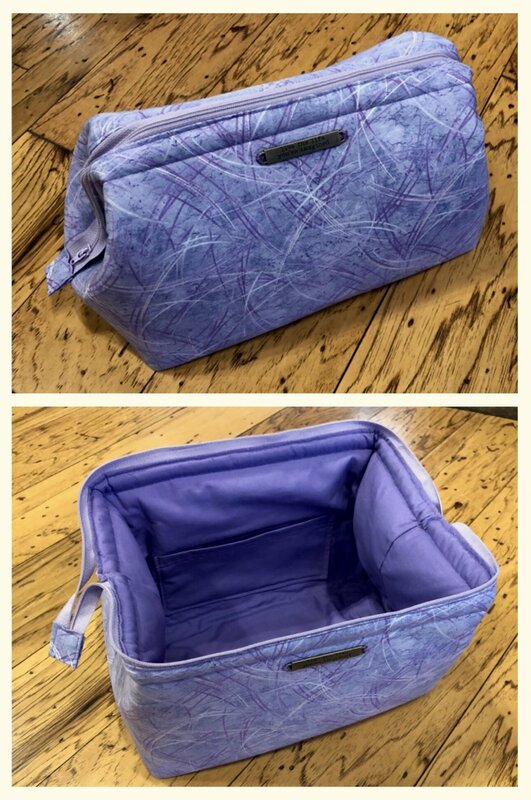 It would make a great make-up bag, sewing bag, swap bag or project bag! Pattern comes with 2 size options. We will be making the large size which finishes at: Length: 11" Height: 6 1/2" Width: 7 1/4"
-You will need to bring your sewing machine and basic sewing supplies.